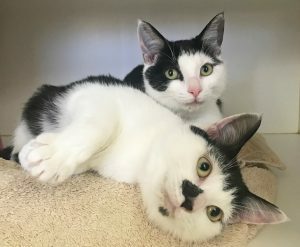 Su-purr-star cats seeking new home: Have you got room for two? Best friends, Cindy Clawford and Cher, are looking for a new home together. Cher and Cindy Clawford are ready to strut their way down the red carpet and into a loving forever home. We’re shining the spotlight on these fabulous felines, who have spent more than 70 days waiting for a new home. Cher and Cindy share a very special bond, so they’re looking for a place where they can stay together forever. “They really do love each other. Because they are the same age and colour, it is likely that they are siblings and have been together since birth,” said Amanda, cattery coordinator at the Home. “Cindy is the queen of the spotlight and will do everything in her power to get your attention,” said Amanda. Watch Cher and Cindy’s video here. Cher and Cindy aren’t in the market for a Malibu mansion; they just want a forever home with a comfy bed to curl up in together, and a family to give them plenty of cuddles. To help keep them together, Cher and Cindy’s new family will only need to cover a single adoption fee of $95. Looking to adopt? 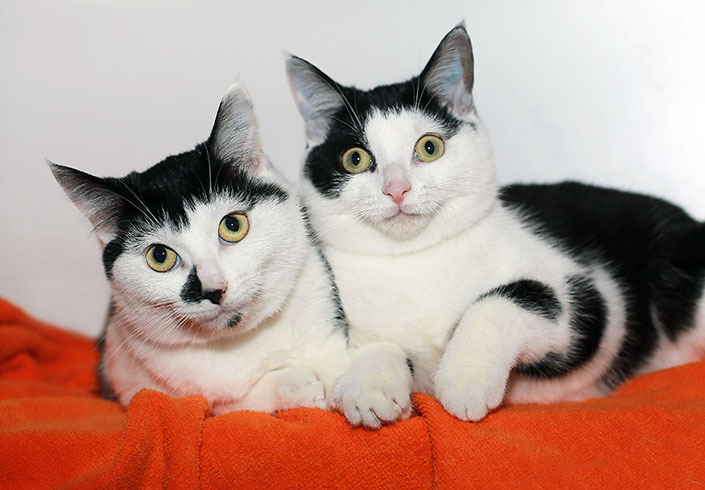 If you’ve got room in your home and heart for two furry su-purr-stars, view Cher and Cindy’s (IDs 1026786 & 1026787) adoption profiles or meet them at our North Melbourne shelter.